My beet love is still going strong. 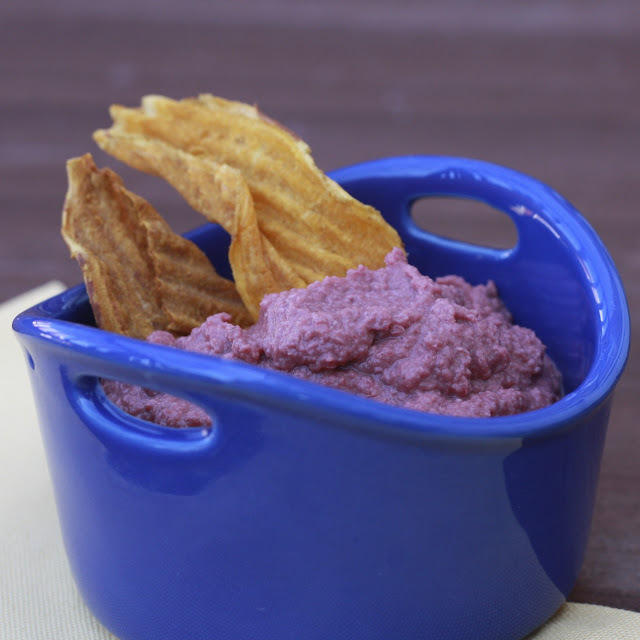 I still had one fully cooked beet from Melissa’s Produce hanging out in my fridge when I stumbled upon a recipe for Beet Hummus in Prevention Magazine. Weird, maybe, but I’ve had good success with other strange flavors (edamame hummus and buffalo hummus, for starters). This was definitely the prettiest hummus I’ve ever made. You can’t beat that gorgeous shade of purple! 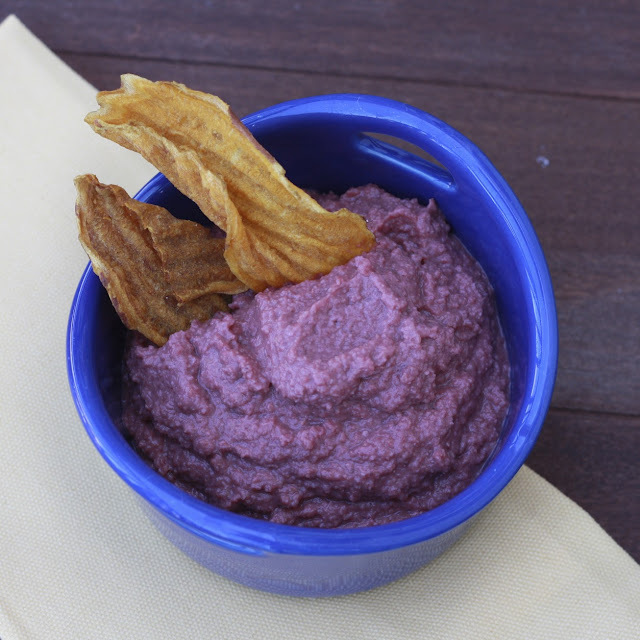 Like all homemade hummus, this couldn’t have been easier…throw a few ingredients into the food processor and puree. The magazine suggested serving this with sweet potato chips, which was a surprisingly perfect combination. We also ate this with veggies, and it’d be good with crackers too. 1. Combine all ingredients in the bowl of a food processor. Puree until smooth. Season with salt and pepper to taste. Serve with sweet potato chips or crudites.